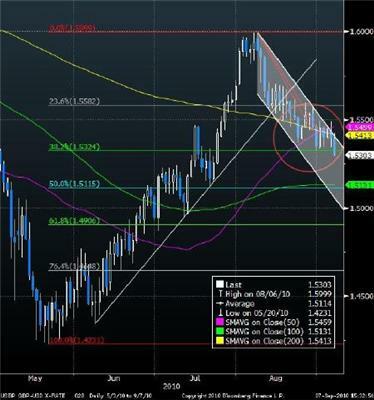 $EURUSD: Is holding the coiled 10&20day SMAs at 1.2745 going into the North American open. $USDJPY: Hits fresh multi-year lows, moving below the August 24 83.59 low to post 83.55 recently. BBA LIBOR: (1 wk) USD: 0.252; EUR: 0.453; GBP: 0.550; JPY: 0.118; CAD: 0.875.